The Halifax Charity Gala Committee is delighted to announce Lee Gething as their new chairman. Lee, who has been on the committee for 5 years, has taken over from Chris Wake who became chairman in 2009 and oversaw last year's event which came very close to making our target of £25,000. Then chairman Chris Wake said, "We were yet again blessed with excellent weather and fantastic support from the people of Halifax, Calderdale and much further afield. Without the support of the local community and local businesses, the gala would not be the success that it is". On been selected as chairman Lee said "This is a great honour, even though the gala has been going 54 years I'm only the 6th Chairman so it's a very rare opportunity. There are a varying number of challenges for the HCG committee at the moment, one being the recent financial situation, which has meant our member good causes really do need the support from the public that they get through the gala. The generosity of local businesses at this lean time is overwhelming and we can't thank them enough for their continued support. 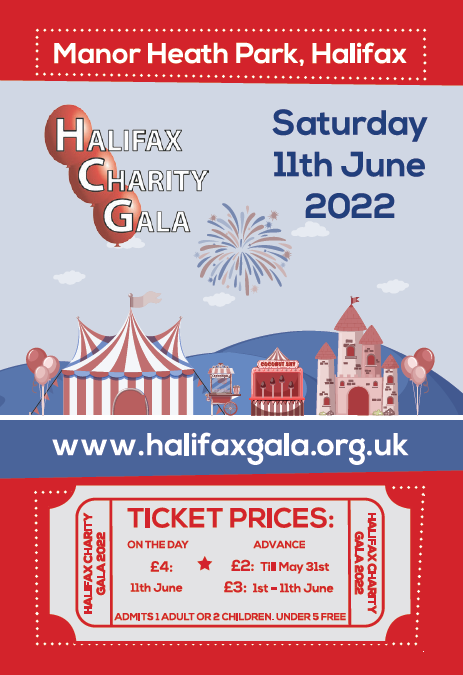 Once again in 2011 the gala will be aiming to raise £25,000 across the event for good causes benefiting the people of Calderdale and we are also working hard to ensure the gala is keeping up with the times with new and exciting events. A lot of entertainment is planned for 2011 including a dog display team, Warrior Factory, dance groups, samba band and the return of the very popular falconry display. "We have so much this year that we have had to put a second arena on the park." Other new feature for 2011 are; The HCG Rodeo Challenge - have a go on our bucking bronco, we will be keeping a scoreboard all afternoon to find the best rider and they will be presented with a trophy at the closing ceremony. We also have a free gala bus service running throughout the afternoon from Stand E3 in the bus station via George's Square thanks to the support from Arrow Coach Travel in Brighouse. In 2010 the street collection raised £2,158.16 and Procession Marshalls Lesley Mooney and Jackie Ogden are hoping to beat that this year. Lesley said "We have a procession of at least 16 motorised floats, 11 walking floats, bands, commercial entries and other necessary vehicles. The take up has been phenomenal for our first year!" The procession starts from Eureka! at 12:30 and will make its way through the town centre to Manor Heath. "Please come and cheer us on as we wind our way through the town". The full route will be published shortly once all the road closures orders have been approved.